If we consider the attributes of performance and reliability required for serious exploration travel, the Rubicon ticks all of the correct boxes. Solid axles for durability and simplicity, combined with excellent suspension articulation potential and consistent ground clearance. The Wrangler also has a real frame, one reported to have torsional rigidity greater than most half-ton trucks. The Wrangler is without peer in trail performance, a combination of near-perfect dimensions and body attributes (flat sides, sheet metal inside track width), excellent approach and departure angles, front and rear locking differentials and class-leading articulation. 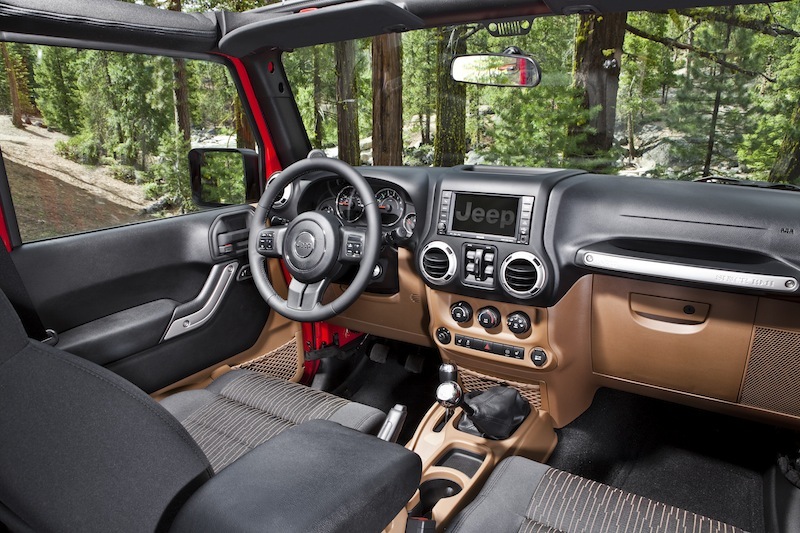 For long-distance travel the Wrangler has good interior volume and near limitless aftermarket accessory support. Factory options can include an AEV front bumper with Warn winch, all covered by the warranty- impressive. In the past, our recommendation has nearly always defaulted to Toyota because of their class-leading reliability. Over the past decade, Toyota’s lead on the competition with reliability has narrowed. Not because Toyota is making less reliable vehicles, but because their competition has improved so significantly. Jeep had a reputation for average quality (even poor for some models), but that has all changed for 2012 with the brand winning top quality honors from Consumer Reports for domestic brands, moving UP seven positions on their list. This is mostly credited to the influence of Mercedes and now Fiat and Chrysler’s new quality chief Doug Betts, formerly of Nissan. This is a significant development for Jeep and no doubt contributed to the brand’s meteoric sales performance these past 18 months. This is not to say Jeep quality is even with Toyota, but the trend is promising. 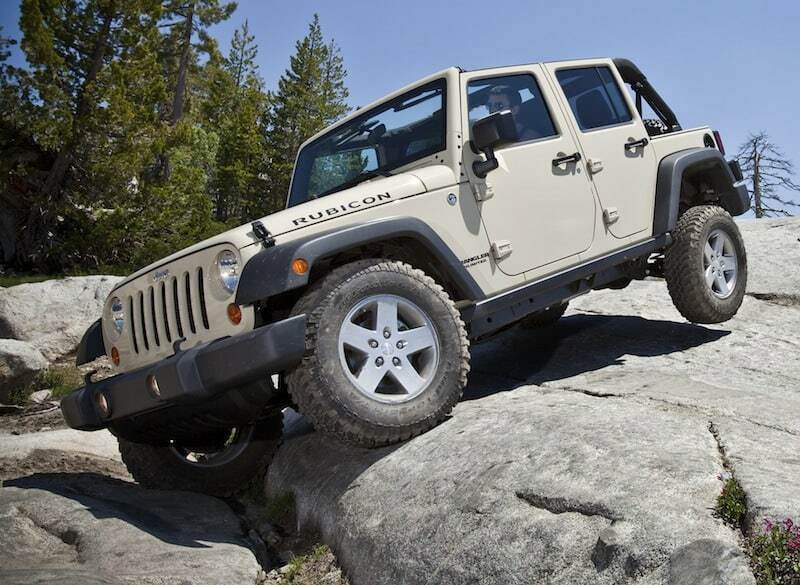 For 2012, the Wrangler receives attention at the source of most owner complaints, the 3.8L ‘minivan’ V6. We were less critical, as this engine proved reliable, but the increased horsepower and efficiency of the 3.6 makes the old motor barely a memory. The 5-speed automatic also adds performance and refinement, improving operation from first to overdrive. It shifts smooth and keeps the rev-happy engine in the power band- the improvement from this new motor and transmission is dramatic. Our one hang-up is the unproven nature of the powertrain, as we typically like to see a track record of reliability. Time will tell if the new engine keeps pace with Jeep’s new found quality rating. Absent is the diesel engine option, something available in most other markets. However, to meet current EPA requirements, the diesel could be a dream come true and a nightmare all in one. Most new diesels sold in the US would survive about 50 miles on Guatemalan fuel – being ultra-low sulfur only. This makes a US diesel Wrangler less appealing to this crowd, at least until an ‘off road’ conversion is available to address the particulate and catalytic converter limitations. Our complaints with the new drivetrain are few, mostly concentrated on the underpowered and fade-prone brakes and the electronic stability / traction control programming. The driver should be able to turn on or off ESP and traction control, with traction control being an available option to Rubicon owners while in low range. ESP should have two modes: 1. The current disable mode with remapped brake distribution and no engine cut. 2. All off. The second position can be achieved by holding down the button for longer – say 8-10 seconds. The 2012 model also benefits from the much-improved interior, offering lower NVH (noise, vibration, harshness), more comfortable seats (with optional heaters), higher-quality materials and new textures. We like this new interior, which feels durable but more refined. Driver fatigue is a real consideration on long trips, so the new comfort and noise damping is welcome. There are a few complaints with the interior, mostly centered on the excessive Jeep logo usage – it is a handsome interior made slightly less so with every single surface logo’ed up. We also found the interior door handles to be missing a full hand grip. The handle is enclosed on the bottom so ingress is awkward, and the passenger yields little support from it in transit. We are being picky, as this is the nicest interior of any serious trail vehicle and a shocking and welcome contrast to our 1983 CJ7. The top still comes off, the interior is durable, but we don’t need hearing protection to drive the interstate- bonus. Summary:The new Unlimited Rubicon is the finest Jeep exploration platform ever made available in North America, easily besting all that came before it in overall performance. There are no other products on the market in the US that match the Rubicon’s incredible breadth of performance, from rock crawling the Dusy Ershim trail to crossing the Atacama desert. The one glaring concern is the 1,000 lb. payload limit, which is clearly reflective of the spring rate, not the axle strength, frame or brakes. Regardless, payload is a major factor in considering an exploration platform, so an HD or Overland edition of the Rubicon with higher spring rates and a 1,500 lb. payload is on our wish list. 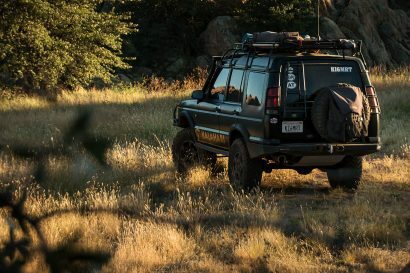 Our staff members have driven these Rubicons for hundreds of thousands of combined miles, from Canada to the Darien Gap in Panama, and some serious exploration between the two. The proof is in the performance, and this truck is made and available in the USA – we are thankful for that. 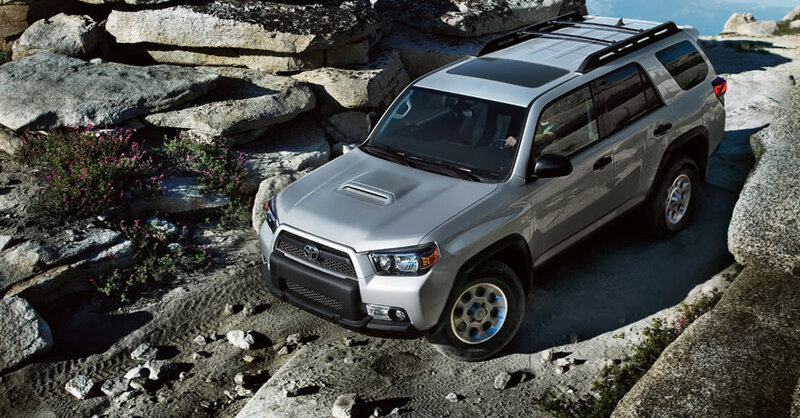 The Toyota 4Runner Trail Edition is a serious global exploration platform. With a better road ride than the Wrangler, it will suit travelers that spend more time on first-world highways than in third-world jungles. The Trail Edition is no slouch on the dirt either with impressive KDSS (an option we are sold on) anti-sway system, driver-selectable locking rear differential and traction control. The 4Runner’s performance on the trail is mostly limited by the factory specified tire and clearance dimensions (approach, departure, break-over angles, body width). The crawl control is a parlor-trick and most drivers will find it entertaining, but unnecessary. At our offices, we are long-time Toyota fans and appreciate the effort made to improve the trail performance of the 4Runner. We already liked the 4th generation truck, but find this new model to be better in nearly every aspect. 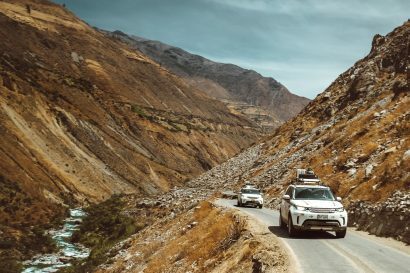 As a note to Toyota, the record selling pace of the Jeep Wrangler is proof that buyers exist for a heavy-duty backcountry/exploration platform. 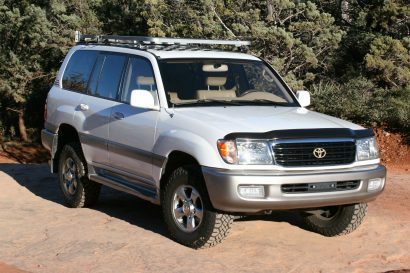 Take the 4Runner V6 (already EPA approved) and insert it into a Land Cruiser 76 GXL, add a few airbags and other required items to pass DOT and give Jeep a serious run for their money – we are waiting, cash in hand. Editors Note: How are the awards selected? The winner and first runner up are selected from US available 2012 models sold in 2011. Over 10 models were considered and tested in 2011 to determine the winners. Winners are finalized and tested extensively in the field and results favor technical terrain performance, reliability, durability, suitability for extended overland travel and aftermarket support.